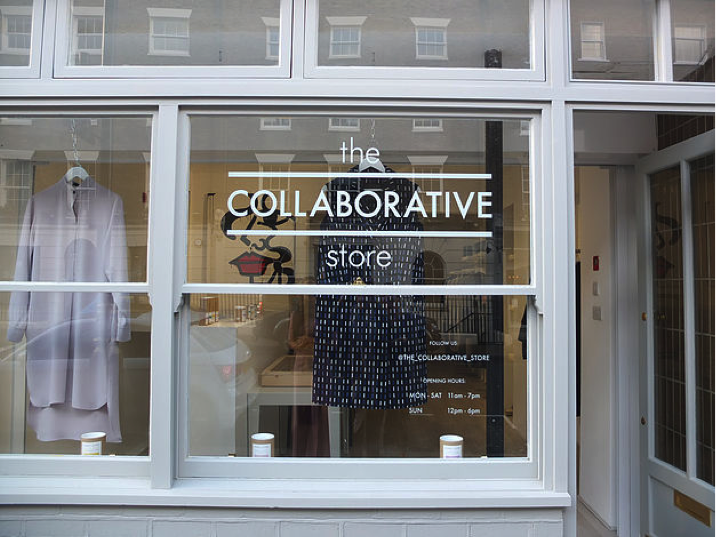 Beyond Tot the new London based online shop which sells a curated selection of previous seasons clothes and accessories for babies and children in a range of designs and styles from eco chic to heritage has joined The Collaborative Store in Marylebone for Christmas! 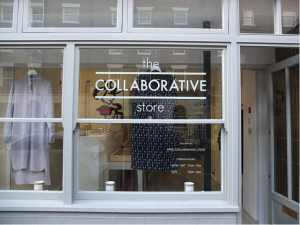 A concept destination store for fashion, art and interiors. This is your chance to see these cool fashion finds from all over the world with coveted and much loved brands such as the Dutch: Sproeut and Sprout, French: Bonheur Du Jour and Swedish: Mini Rodini.Not only are Beyond Tot’s clothes stylish and good quality, they are also lower priced and more responsible environmentally. Perfect for Christmas gifts. 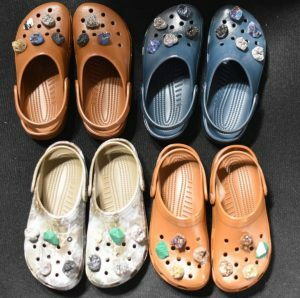 Sourced from the world’s most trend setting cities for children aged 0-12 Beyond Tot’s clothes and accessories are 30-40% cheaper than their original price – a treasure trove for mums who want to buy well and who have an eye for style. NEW LAUNCH FOR MUM COOLHUNTERS! Beyond Tot is a new London based online shop which sells a curated selection of previous seasons clothes and accessories for babies and children in a range of designs and styles from eco chic to heritage. 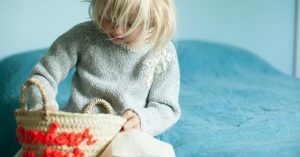 Both children and adults will love these fashion finds from all over the world with coveted and much loved brands such as the Dutch: Sproeut and Sprout, French: Bonheur Du Jour and Swedish: Mini Rodini.Not only are Beyond Tot’s clothes stylish and good quality, they are also lower priced and more responsible environmentally. Sustainability is an essential ingredient for Beyond Tot. Not only are giving life to past seasons clothing that has been warehoused; they are working with charities all over the world to distribute the outgrown clothing. Many of Beyond Tot’s brands run their own sustainability programmes and are made from natural and organic materials. Beyond Tot’s founders are two style savvy mothers who met while studying at the Istituto Marangoni Institute of Fashion and Design whose famous alumni includes: Franco Moschino, Domenico Dolce and Alessandra Facchinetti (Creative Director Valentino). Both went on to forge careers in fashion management and international studies also working at London Fashion Week for many years. Beyond Tot will offer parents well-designed, organic and natural fabrics at reduced cost and with a sustainable ethos in mind. Beyond Tot’s brands include: XTI (boots and shoes), Mini Rodini (Scandinavia’s fastest growing children’s wear brand), Sons + Daughters eyewear, Minimus (kids clothing), Kids on the moon (kids clothing), Huggee (Portuguese kids clothing), Gaedner and the Gang (Swedish kids clothing), Coccode (Italian new-born clothing and accessories), Bonnie Mob (kids clothing), Bonheur (French everyday fashion), Bloomingville (Danish interiors) and Sproet and Sprout (Dutch unisex clothes). Beyond Tot can be found at: Beyondtot.com and on Instagram.Beyond Tot are currently shipping to UK, EU and US. Pulsin Kids’ Fruity Oat Bars Partner with Hotel Transylvania 3 – Summer Vacation! 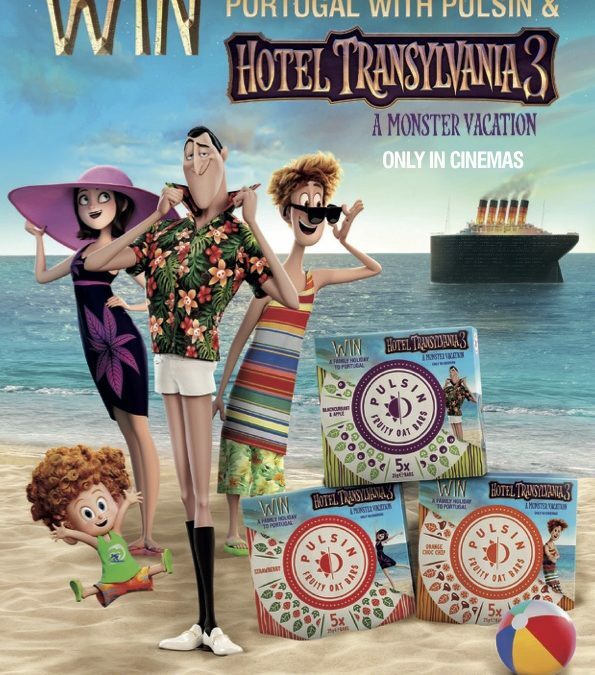 We are so excited to be working with Pulsin launching their new partnership with Hotel Transylvania 3 – A Monster Vacation – we can’t wait to see the film this summer. Hotel Transylvania 3: A Monster Vacation,the upcoming 2018 family movie from Sony Pictures Animation, is teaming up with Pulsin Kids’ Fruity Oat Bars. To be released in the UK on July 27th, the collaboration reflects the scale of opportunities now available to healthier snacking brands. Pulsin Kids’ Fruity Oat Bars contain a third less sugar than the average kids fruit snack* making them the perfect tasty wholesome low sugar snack option for kids’ cinema snacks, back to school lunch boxes and after school snacks. Pulsin Kid’s Fruity Oat Bars are targeting family consumers in major retailers through promotions on-pack and POS displays as well as across digital and social platforms. Peter Staines, Head of Partnerships at Sony Pictures says:“Moviegoers everywhere are excited this summer to be back with their favourite monster family. We are thrilled to be working with Pulsin to create a fun and engaging collaboration for the latest movie across multiple touch points”. Consumers purchasing multipacks ofPulsin Kids’ Fruity Oat Barsthis summer will have a chance to win a family holiday and exclusive merchandise**. The collaboration also includes Hotel Transylvania 3-themed sampling events across London retailers, blogger and influencer competitions, consumer and trade PR campaign and advertising (OTP and digital) within national newspapers and family magazines. Pulsin Kids’ Fruity Oat Barsare 100% natural made with real fruit and natural ingredients, they contain less than 100 calories and are perfect for children aged from 3-9 years. Pulsin Kids’ Fruity Oat Bars have reduced sugar, only contain natural sugars, are made with a nut free recipe, count as one of a child’s five a day, are gluten free, dairy fee, non GM and soya free with no artificial ingredients additives or preservatives. The stockists of the promotional packs include: Tesco, Whole Foods Market, Co-Op, Ocado and pulsin.co.ukand will be on shelf late June 2018 until the end of August 2018. *According to a survey sample of kid’s fruit snacks in 2017 available upon request. In Sony Pictures Animation’s Hotel Transylvania 3: A Monster Vacation, join our favorite monster family as they embark on a vacation on a luxury monster cruise ship so Drac can take a summer vacation from providing everyone else’s vacation at the hotel. It’s smooth sailing for Drac’s Pack as the monsters indulge in all of the shipboard fun the cruise has to offer, from monster volleyball to exotic excursions, and catching up on their moon tans. But the dream vacation takes a dangerous turn when Mavis realizes Drac has fallen for the human captain of the ship, Ericka, who holds a mysterious secret that threatens them all. Directed by Genndy Tartakovsky and written by Genndy Tartakovsky and Michael McCullers, the film is produced by Michelle Murdocca. The Curious Dragons – for maths mastery! Every parent, if they’re really honest, wants their child to be a bright spark, especially when it comes to maths. The key is to encourage their intelligence while remaining fun and holding their attention for more than five seconds. The Curious Dragons is the first interactive learning system of games to help kids master maths. Developed by a highly experienced advanced maths teacher, The Curious Dragons concept uses the ‘touch, visual and symbol’ approach employed with great success in Singapore, known as Singapore Maths. Singapore is routinely ranked at or near the top in global comparisons of mathematical ability and boasts one of the most admired education systems in the world! Singapore maths focuses on mastery, not just learning for a test, and supports the Maths Mastery method taught at school. It focuses on maths topics in greater depth. Based on the work of American psychologist, Jerome Bruner, the Singaporean curriculum begins with hands-on group activities with objects like buttons or dice. Next, students move onto the pictorial phase — drawing representations of concrete objects before moving on to abstract equations. The UK ranks 27th in the world in the PISA tests of 2015 for maths achievement. Overall, only 11 per cent of students in the UK are top performers, this is compared to Singapore, the top performing country, where 35 per cent of students are top performers. “We find the single most important factor in predicting later academic achievement is that children begin school with a mastery of early math and literacy concepts,” said Northwestern University researcher Greg Duncan. The study’s findings, which appear in an issue of Developmental Psychology, are based on an analysis of existing data from more than 35,000 preschoolers in the United States, Canada and England. Awards are a big part of any brand PR programme. Saibr PR offers an AWARDS programme. We indentify awards for our clients to help them enhance their brand; we check their viability in terms of what the award offers and the likelihood of them winning versus the cost (time and money). We have entered lots of clients over the years and they have enjoyed the benefits of winning! There is a lot to be gained from entering awards for small businesses and in our experience there is always something to gain from entering an award. So what are the benefits? 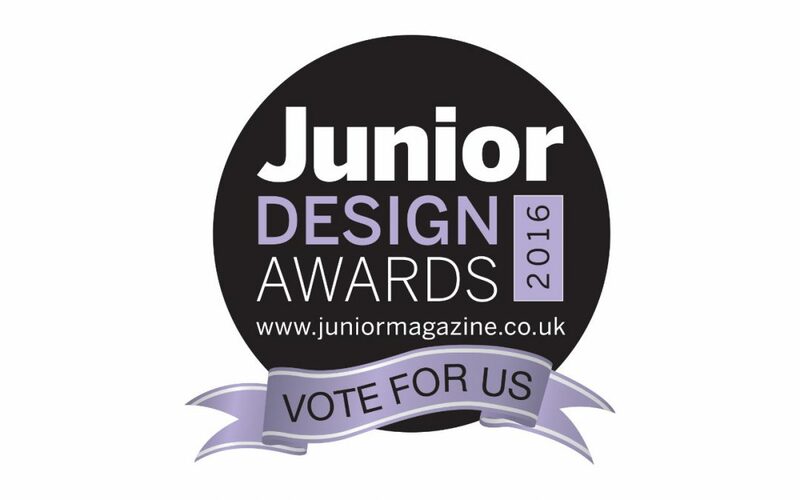 It’s your chance to tell your industry just how great you are! Awards are influential, it’s fantastic publicity, the award is telling everyone just how brilliant you are. Many awards will give you publicity and a stamp of approval even if you are a finalist and don’t win, something to consider when looking at the small print. Having a trophy in your cabinet, a logo on your collateral reassures your customers and your industry of your quality and credibility. It’s a seal of approval. Awards give your brand fantastic PR, so cash in on the ‘free’ marketing. Facebook it, Tweet it, hashtag it, make sure you shout about it. Use the award and the ‘chatter’ around it as content for your brand, make the most of it and remember you have to be in it to win it but even if you don’t you can still capitalise on it. 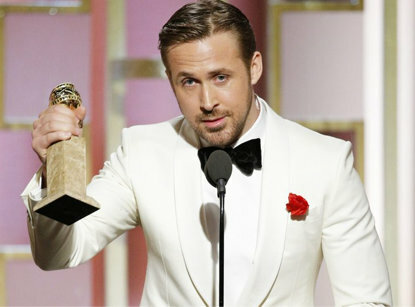 An excuse to show an eye catching actor with an award!